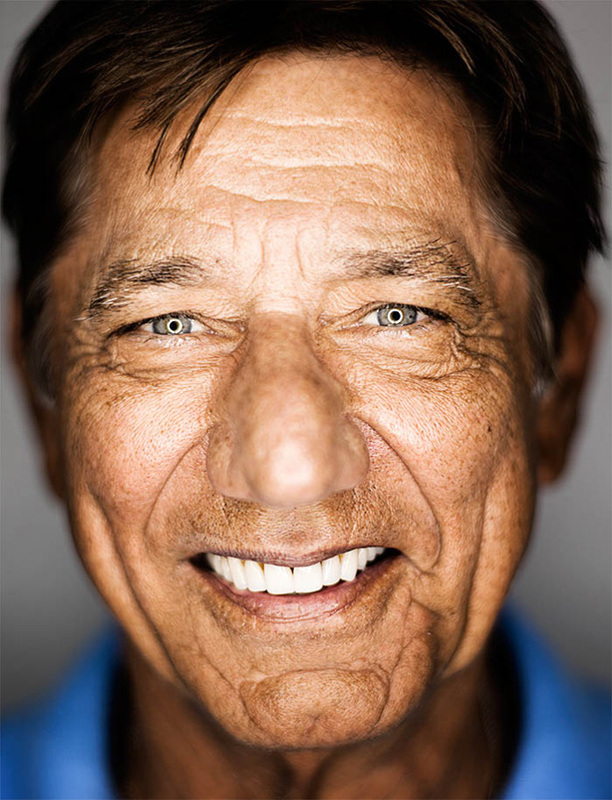 See the gallery for quotes by Joe Namath. You can to use those 6 images of quotes as a desktop wallpapers. I took my time to find the perfect girl. I was a workhorse; there was never a practice that I didn't enjoy. I was born with the gift. I was focused on athletics, outdoors, sports. I was lucky enough when it came to sports and work ethic to be taught some basics that continue to be important. I'd rather go to Vietnam than get married. 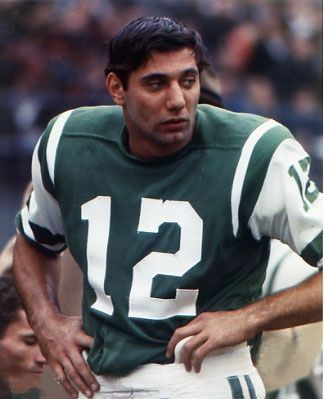 I'm always gonna be Joe Namath, and I'm not running from that. I've always said I'm going to get married only once. It feels bad to feel like you're not wanted. 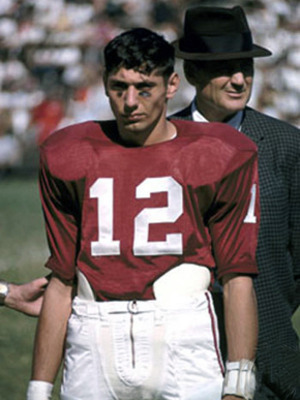 Johnny Unitas was my hero. My philosophy in life, where I was trying to get, could have been a little bit different. 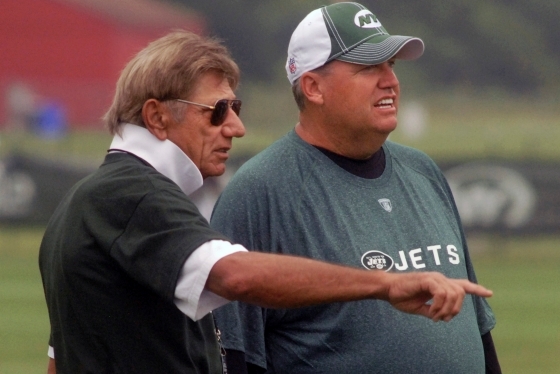 Of course, in pro ball, they never hit the quarterback in practice. Something's been guiding me around throughout my life. There are some things you only learn through experience. There's an old saying amongst players in football talking about your general manger and coaches, they speak with a forked tongue. Times have changed. The athletes have changed. We're going to win Sunday. I guarantee it. What I do is prepare myself until I know I can do what I have to do. 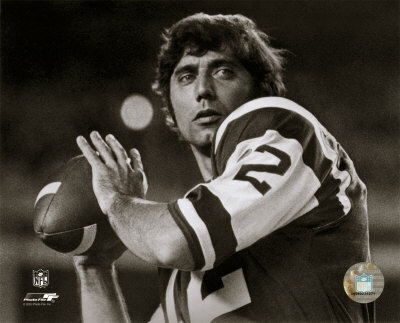 Much more quotes by Joe Namath below the page. Where I came from, sports were the only way to get out front. I think that at some point in your life you realize you don't have to worry if you do everything you're supposed to do right. Or if not right, if you do it the best you can... what can worry do for you? You are already doing the best you can. When we won the league championship, all the married guys on the club had to thank their wives for putting up with all the stress and strain all season. I had to thank all the single broads in New York. Whether it's 18 years old or 40 years old, we think we know what's going on. But if you're lucky enough to continue the journey, its amazing how we keep learning how much we didn't know. When you have confidence, you can have a lot of fun. And when you have fun, you can do amazing things. You learn how to be a gracious winner and an outstanding loser. I believe in letting a guy live the way he wants to if he doesn't hurt anyone. When you win, nothing hurts. To be a leader, you have to make people want to follow you, and nobody wants to follow someone who doesn't know where he is going. I don't care what a man is as long as he treats me right. He can be a gambler, a hustler, someone everybody else thinks is obnoxious, I don't care so long as he's straight with me and our dealings are fair. I don't like to date so much as I just like to kind of, you know, run into somethin', man. I've figured out that life in general is a team effort; it's a team game. I was a very naive young man, and I may still be ignorant about a lot of things. I've tested life and I've learned what works for me. My family's the most important thing in my life. As a football coach, everything in your life comes after your football schedule. I just could not make that commitment. First, I prepare. Then I have faith. How you recover from what life's throwing at you is what matters. I am a football fan, yeah. I can't compare family to athletics. I couldn't do anything I didn't enjoy. I deal with football from a realistic, logical point of view. I don't think that I've ever been a backup. I have to convince myself I know what I'm doing. I like music and I like ladies. I like to see them dance. I should have been thinking more about my family, how I raised my children, how I maintained life's work, so to speak. I think there's always going to be a problem dealing with firearms, with knives. It's the animal we are that cause the problems. God is one, but he has innumerable forms. He is the creator of all and He himself takes the human form. Death would not be called bad, O people, if one knew how to truly die. That one plant should be sown and another be produced cannot happen; whatever seed is sown, a plant of that kind even comes forth. Whatever kind of seed is sown in a field, prepared in due season, a plant of that same kind, marked with the peculiar qualities of the seed, springs up in it.